The Venezuelan left made big advances in regional elections, Dec. 16, even as President Hugo Chavez remains hospitalized in Cuba after his third cancer operation. At stake were governorships and legislative council seats in all 23 of Venezuela’s states. Going into the election, Chavez’ own party, the United Socialist Party of Venezuela (PSUV) held all but eight of these governorships, with the rest held by the right-center MUD (Democratic Unity Roundtable) alliance of opposition leader Henrique Capriles Radonski. Chavez beat Capriles by a margin of 55 percent to 44 percent in the Oct. 7 presidential elections. The Dec. 16 results were striking: Going forward, the PSUV will now govern 20 of the 23 states, a net gain of five governorships. This will allow the PSUV leadership to advance projects for local mass democratic participation in building the nation. The Venezuelan Communist Party (PCV), which supports Chavez and his policies, supported the PSUV candidates in all but four of the states. In those states, the Communist Party ran its own candidates. It did not win any of the governorships but in Portuguesa state its candidate, Oswaldo Zerpa, outpaced the MUD candidate with 23 percent of the vote, coming in second after the PSUV candidate. But there and in the other three states where the Communist Party ran candidates, the PSUV won; in other words, the Communist candidacies did not cause the MUD candidates to win by taking away votes from the PSUV. Of particular importance is the fact that the PSUV candidate, Francisco Arias, won in Zulia state, which borders Lake Maracaibo and contains much of Venezuela’s crucially important oil reserves and production. In the past, Zulia, which is Venezuela’s most populous state with 4 million inhabitants in this country of 29 million, has been touted as a hotbed of opposition to Chavez and his policies. There have been worries that the United States would use Zulia’s disaffection to try to separate the oil-rich state from the rest of Venezuela. However, these fears will now recede with the PSUV victory. Chavez also won Zulia in the presidential election. 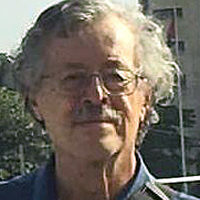 Local and outside observers were particularly interested in the results of Miranda state, which includes part of the metropolitan area of the capital, Caracas. There, Henrique Capriles Radonski, who was bested by Chavez in the October presidential election, is the governor and was challenged by the PSUV’s Elias Jaua, Chavez’ former vice president and minister of agriculture. Capriles won the governorship of Miranda by a vote of 52 percent to 47 percent, but the PSUV won a majority in the state legislature. The PSUV also took the governorship of Carabobo state, which had been ruled by the MUD; it is an important industrial center. The opposition won in Amazonas state, which is the most sparsely populated of the states and contains vast forested regions, and in Lara state. Nationwide, there was an unusually low turnout for the opposition. 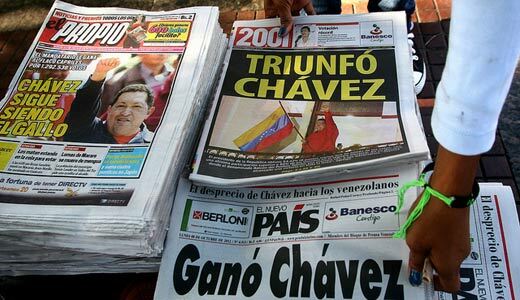 Depending on how Chavez’ recuperation goes, Venezuelans may face another election. Having been reelected to the presidency in October, Chavez is to be sworn in on January 10. If he is not in shape to do so, or has to step down, the Venezuelan constitution stipulates that a new presidential election must be held within 30 days. Before heading to Cuba for the latest bout of surgery, Chavez asked that in such a case, Venezuelans vote for Vice President Nicolas Maduro to replace him. The regional election results suggest that the Venezuelan phenomenon is not just a one-man show, as the corporate-controlled media here in the United States like to claim, but has much deeper popular roots among the working class, the peasants and other mass sectors who have benefited greatly from Chavez’ redirection of the country’s oil wealth into raising living standards. The opposition’s strategy of denouncing Venezuelan aid to poorer countries in the region, and especially to Cuba, seems to have failed. This would augur well for a Maduro victory, if a new election is needed, and for a continuation of the “Bolivarian Revolution” which is so important not just for Venezuela but for the entire Latin American-Caribbean region and beyond.